Another Academy Awards have come and gone, with Guillermo del Toro’s fantasy romance, “The Shape of Water,” winning the coveted Oscar for Best Picture. “The Shape of Water” was nominated for 13 Oscars, went home with four, and was heard of for the first time by many viewers a little more than a month ago, when the Oscar nominations were announced. Think I’m being sarcastic? According to Collider, “The Shape Of Water” grossed $57.4 million domestically. While that may sound like a lot, it pales in comparison to the domestic profits of other 2017 releases such as “Star Wars: The Last Jedi” ($531 million) and “IT” ($327 million). And, if you think that having a lower grossing film win Best Picture is just a fluke, think again: “The Shape of Water” is the highest grossing Best Picture winner in five years. It’s simple: box office hits just don’t win Best Picture. While there is no official criteria regarding the genre of Best Picture nominees, it goes without saying that the Academy likes to award the dramatic, historical, and/or artistic films with deep themes about life and humanity — films that often are not as popular with movie-goers. In 2014, the black comedy “Birdman” won the Oscar while grossing only $47.2 million, while that same year “American Sniper” took in $395.4 million. In 2015, “Star Wars: The Force Awakens” became the highest grossing domestic film of all time with $992.4 million, while the award for Best Picture went to journalism drama “Spotlight,” which grossed only $47.8 million in the U.S.
For instance, action and fantasy films rarely win, and some sub-genres of those categories never even get nominated. Case in point: a superhero film has never been nominated for Best Picture. After all, such mindless action movies are for the uncultured masses, not the prestige of an Academy Award. At least, that’s the stereotype. The Academy just tends to ignore films such as 2008’s “The Dark Knight,” ($534.8 million) which explored mature concepts of death and rebirth and 2017’s “Wonder Woman,” ($412.5 million) which broke age-old gender barriers. I personally hope that “Black Panther” with its brilliant story and acting, will be able to break this trend come next Oscars. However, given its huge popularity (it’s only been out a month and has already made $506.4 million domestically), I suppose that might just be wishful thinking. Popular does not always equal good, and not every movie that makes a boatload at the box office deserves to win Best Picture. But that doesn’t mean every film that earns a lot at the box office isn’t cultured enough to merit Oscar recognition. The Academy Awards have reached the point where audiences rarely know most of the movies up for Best Picture, which can be frustrating for the movie-going public. The dip in Oscars viewership in the past few years may reflect this. 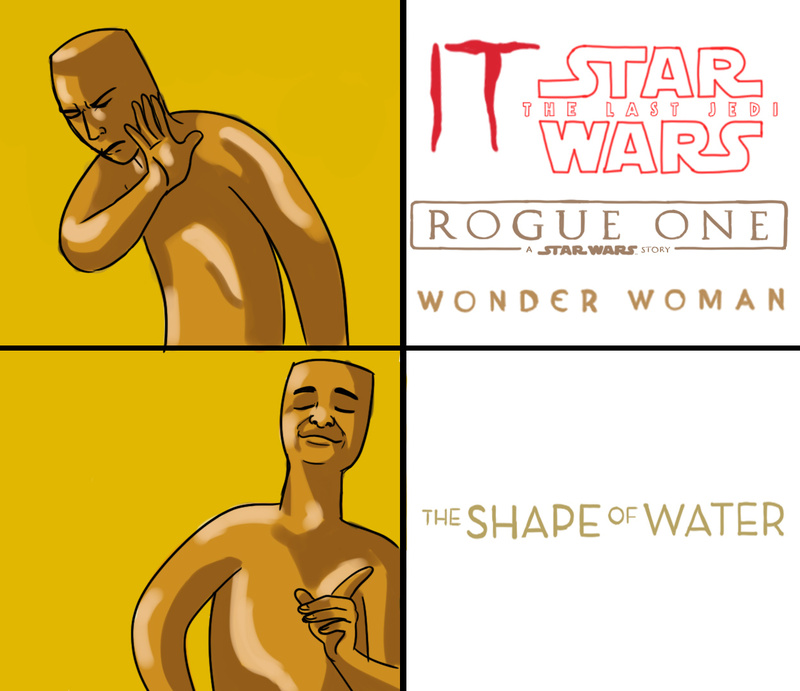 After all, where’s the fun in watching an award show that ignores movies you enjoyed throughout the year while celebrating a bunch of films you’ve never heard of before? Information for this article came from Collider, Hollywood Reporter, the Washington Post, Thought Co, Fortune, and Business Insider. I think this article/essay was highly insightful and said a lot of things people need to think about more when watching the academy awards. I think that most everything you said has validity. Most movies that are popular are for entertainment, they are made for the public’s entertainment. Action and fantasy . . . they have the potential to be deeper, but are mostly revered for the escape they provide their audiences. Now, that doesn’t mean that they do or don’t fit the “Best Picture” mold per se, but it’s not necessarily their intent to make a bigger impact on their audiences all the time either.